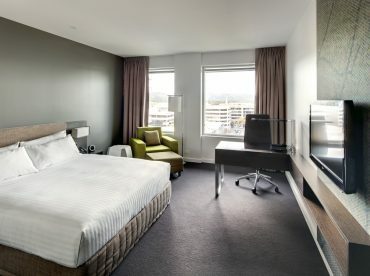 The standard is high at Pullman Adelaide, and our Superior Rooms luxuriously combine everything you need to ensure a relaxing or productive stay. An open-plan room, plush bedding with pillow menu and large light-filled windows make the Pullman Superior Room the perfect place for global nomads to work and play. For guests with reduced mobility, Pullman Adelaide has 11 Accessibility Rooms. Superior Rooms are also available as twin share.